This week’s book review of a novella is brought to you by yours truly, Morgen Bailey. If you’d like your book reviewed or to send me a book review of another author’s book, see book-reviews for the guidelines. Other options listed on opportunities-on-this-blog. Lionel does get his letter during a disastrous trip to the Post Office; he’s going to camp! His excitement for camp is quickly doused when he learns he’s rooming with the biggest bully in school—Tad Winters. After being tripped, pranked, and set up by Tad, Lionel finds himself stuck doing dishes with Martha the kitchen lady. Lionel finally gets his chance to get even when the day of the big scavenger hunt arrives. The boy and girl winners get to spend the day at Lake Yellowhorn. 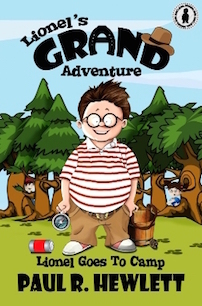 This novella is available via http://www.amazon.co.uk/Lionels-Grand-Adventure-book-childrens-ebook/dp/B00WRRDFRE and http://www.amazon.com/Lionels-Grand-Adventure-book-childrens-ebook/dp/B00WRRDFRE. After a really sweet dedication to Paul’s sadly departed dog (mine’s fourteen and a half and I’m dreading the inevitable), the table of contents shows twelve chapters with some brilliant titles including ‘A Drop in the Attic’ and ‘Bookends and Bug Bites’. If this were a short story collection, I’d probably start those first but this is a novella so chapter one it is, fortunately, the aforementioned ‘A Drop in the Attic’. With any story, we need a conflict and this one comes on page one; Lionel wishing to find out more about his dad (and his mum isn’t letting him go to camp). We’re then introduced to his Three-Toed-Potbellied Walbaun foot which brings him whatever he wants but proves to be ‘both handy and unpredictable’. That makes a story all the more fun. As per Paul’s previous book, Lionel’s Christmas Adventure (which I reviewed back in December), there are some witty phrases including ‘Lionel sneezed so hard he thought the top of his head might pop off’, ‘If he didn’t hide things, they had a way of either disappearing or getting him in trouble’, ‘He looked like an oil slick had landed on his head’, ‘his eyebrows scrunched together like a caterpillar crossing the road’, and the howling reveal was funny. Although it took a little too long for the story to get going (for Lionel to get to camp), the action was plentiful with several “ahh” moments (especially at the end) where we really feel for Lionel. I smiled at the mention of Northampton (where I live) and loved the reference to the ‘bookends’. ‘The silence filled his ears like ocean waves hitting the shore’ also puzzled me but reminded me of my favourite film ‘Stranger than Fiction’, so no bad thing. Paul writes very well but I did spot a few clichés: ‘he couldn’t make head or tails’, ‘spun on her heels’, ‘stopped dead in her tracks’, ‘in a flash’, ‘heart skipped a beat’, ‘with my own two eyes’ and ‘hadn’t slept a wink’. You can use cliches (the fewer the better) but your writing will sparkle if you find less well-worn ways of saying them. There weren’t many adverbs to chop but ones I spotted were ‘clenched tightly’ (where clench = tight) and a few ‘well’s (mostly at the beginning of sentences where characters are thinking). Like ‘erm’s and ‘um’s, we do say “well” but more than a couple and they become noticeable and should be resigned to a maximum of one character. There were some occasions where there were two male characters in the scene (usually Lionel and his dad) and it wasn’t clear from the ‘he’ which was referred to. The name preceding the ‘he’ would be the one the reader would think of and in some cases here, it was incorrect. Something to be careful of. Very few of my reviews have mentioned ‘began to’ or ‘started to’ and there were a few in this novella. Unless something / someone is interrupted then the action happens e.g. ‘he began to sing’ can be ‘he sung’ because he is singing. Another entertaining tale about the wonderfully named Lionel Snodgrass. The characters are engaging, the description was vivid and dialogue authentic. I’ve always been a fan of the fabulous covers and the occasional illustrations gracing this book make it all the more enjoyable. Rating: 4 out of 5 – only losing a point for the clichés etc. Based in Northamptonshire, England, Morgen Bailey (“Morgen with an E”) is a prolific blogger, podcaster, editor / critiquer, 2015 Head Judge for the annual H.E. Bates Short Story Competition, Head Judge for the NLG Flash Fiction Competition and creative writing tutor for her local county council. She is also a freelance author of numerous ‘dark and light’ short stories, novels, articles, and very occasional dabbler of poetry. 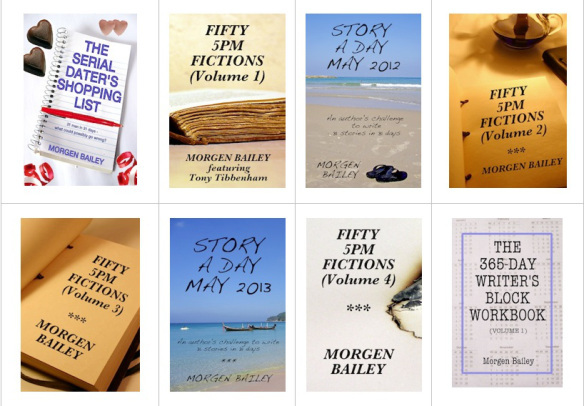 Like her, her blog, https://morgenbailey.wordpress.com, is consumed by all things literary. She is also active on Twitter, Facebook along with many others (listed on her blog’s Contact page) and has created five online writing groups and an interview-only blog. Lionel represents the young reader in his adventures as well as the adult reader who recognizes his young self in the antics of Lionel. Paul is an author to relishly read! I appreciate you taking the time to read and review my book. I appreciate the kind words and the great feedback. I am finding that the more I write, the better I get at it. I will most certainly take you thoughts to heart and work to improve my craft. Thanks again!